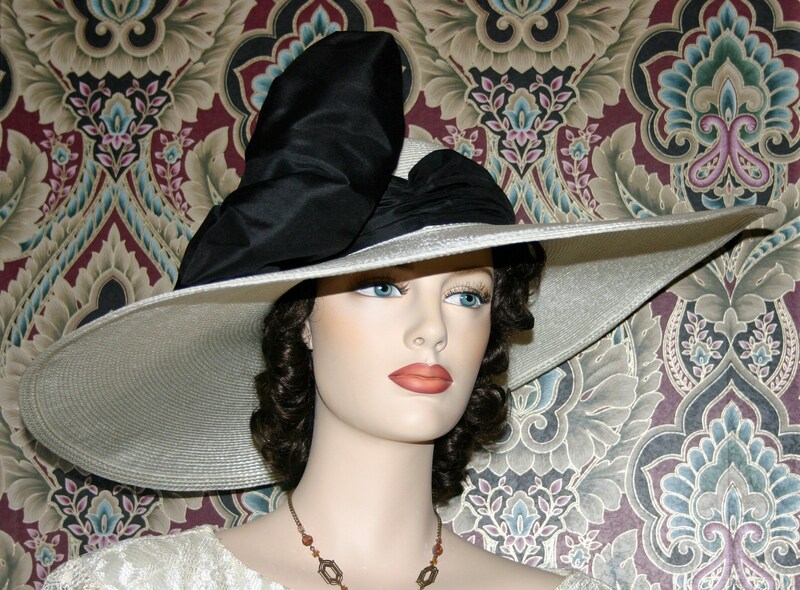 Kentucky Derby Hat " TITANIC" is a perfect hat for the races. It's wide brim will shade you in the grandstands! 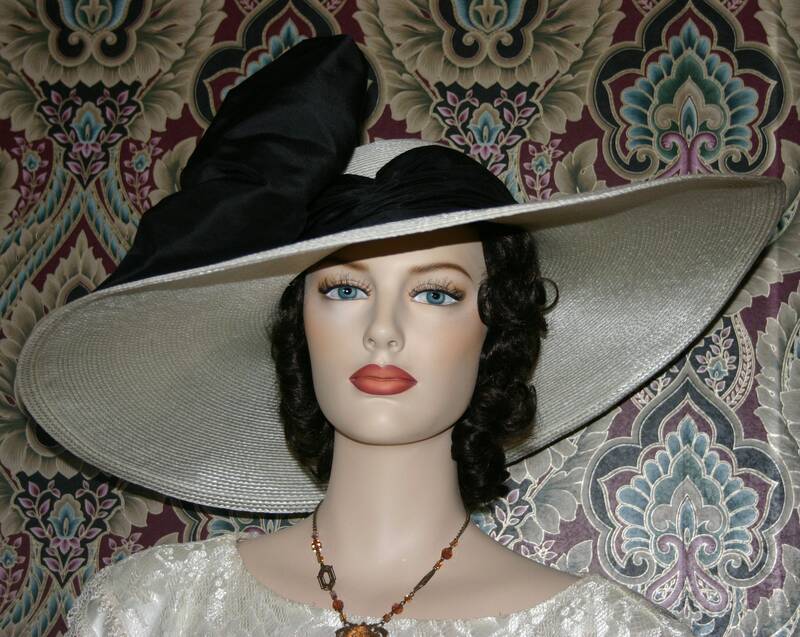 This is a beautiful 22 inch wide brim designer straw hat shown in ivory. 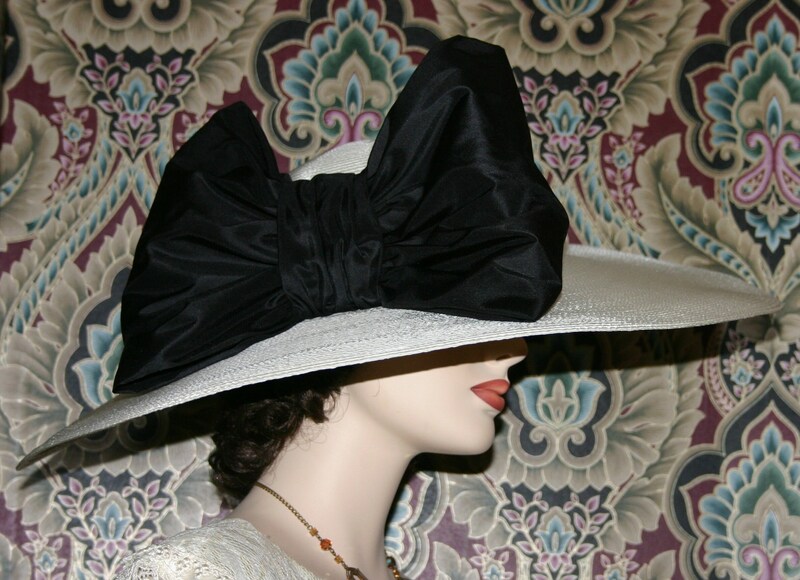 The adornment is a huge silk bow and silk hat band. Perfect for Titanic event, tea party or anyplace you'd like to be noticed! There's wire on the edge of the brim, so you can shape it just the way you want it! Unless it's a ONE of a KIND design, all of my hats are hand made to order, please allow up to 2 weeks to have it made and shipped. if this is a rush order please contact me first. All sales are final if you have any question please feel free to contact me.